Almost a month ago someone from Conbrov got in touch with us for a review of their Mini Hidden Spy T33 1080 pixels camera. As my readers would be aware, I don't write about anything I personally haven't experienced. So, I asked their representative to send us a review piece and we can go ahead with that. Around 2 weeks back I received their camera through the post and since then I have been testing out the camera in different conditions. 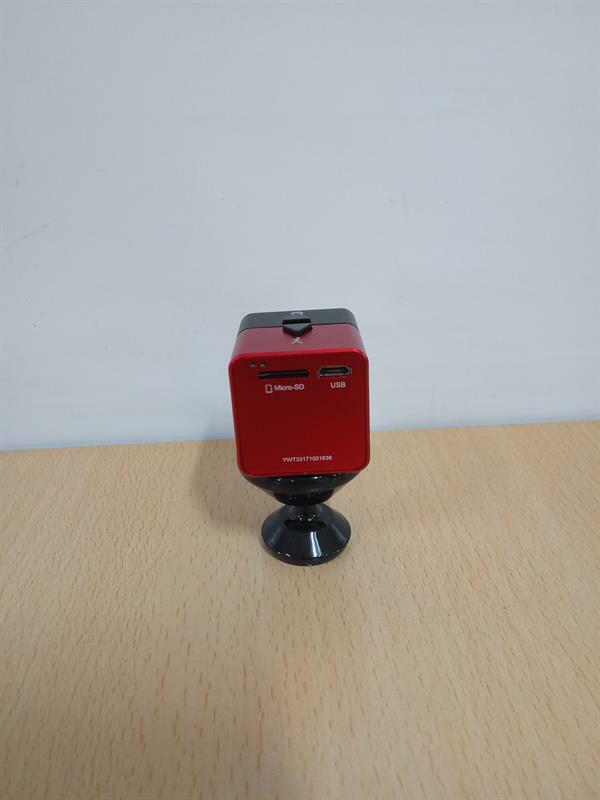 Conbrov T33 is a 1.18 inches camera that can easily go unnoticed when kept with an assortment of things on your desk. You can start recording with a single button click or put it in motion detection mode to monitor any activities going on in your home. There is a 1 year standby time that makes sure that one doesn't miss anything important even during the night when it switches to night vision mode automatically. Also, you can keep it connected to a power supply so that it keeps on recording and with the loop recording functionality you don't need to worry about losing the latest recording done. Let's discuss its features is more detail. 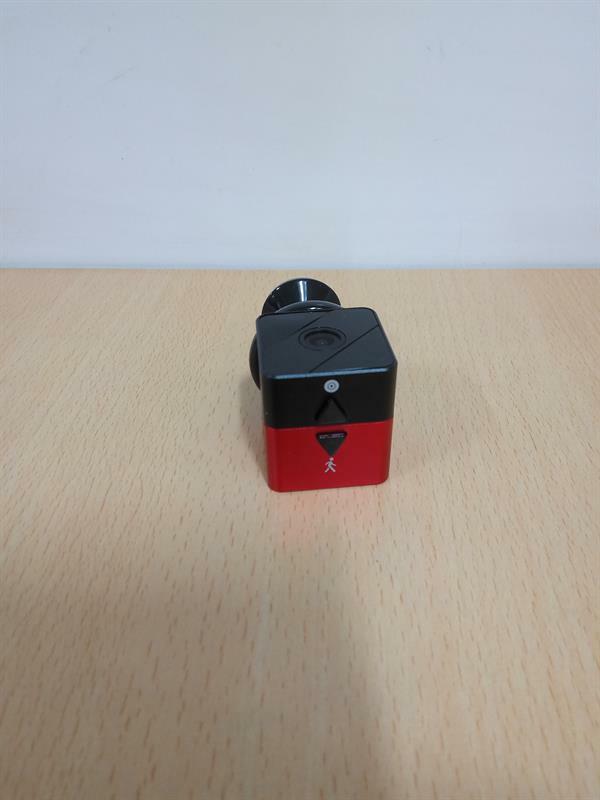 Long standby time and recording hours: Though it is one of the smaller spy cam recorders, it provides a maximum of 1 year of standby time, 6 hours of daylight recording and 3 hours of night time recording. It is so small that unless somebody is specifically looking for it, it is not noticeable. FHD 1080P and night vision: Though the camera is small it records at a full HD 1080P with wide angle lens giving a wide coverage and switches to night mode automatically and records up to 33 ft.
Motion detector: The motion detector in Conbrov T33 is triggered by any activity within a field of 16ft. This helps you record only the things that matter, making the camera battery last longer. You need to plug in a minimum of class 10 micro-SD card of minimum 8GB and maximum 32GB for it to record videos. Lifetime support directly from Conbrov and 24/7 online support is available. Like most other spy cameras, Conbrov T33 does loop recording, meaning that once the space is filled in the SD card, it will start rewriting from the start of the video so that the old recording gets overwritten and you have the latest recording. It has both audio and video recording capability. You should take care that you don't use this camera for illegal purposes like spying on people in their private spaces. You yourself are responsible for such actions. Such small cameras are also known as nanny cameras since they are frequently used by people to keep an eye of nannies taking care of your kids or old parents. You can also use this in boardroom to record the progression of meeting without making anyone conscious of being recorded. You can keep it in your garden if you are finding that someone is damaging your plants or plucking fruits or flowers from your garden. You can keep in front of access gates or lockers to act as security camera which no one is going to notice. I received the camera through the Indian post with the package a little damaged from the outside but thankfully everything was safe inside. 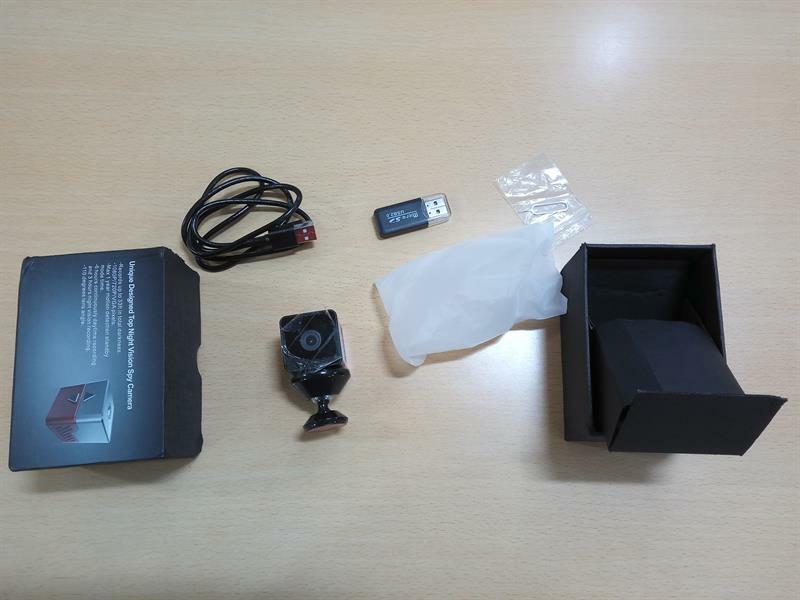 Inside the package, there were a lot of things - Conbrov T33 Mini Spy Camera, Magnetic Bracket, USB cable, Card Reader, User Manual and Pin. The only thing missing here to get started is the SD card. I used my phone's SD card for this purpose. But before I could start I needed the charge the camera. Charging happens through the common micro USB port and the camera can be started while it is charging. There will be a yellow light while the camera is charging and it goes off once the charging is complete. As you can see there are a few options that you might want to edit here. 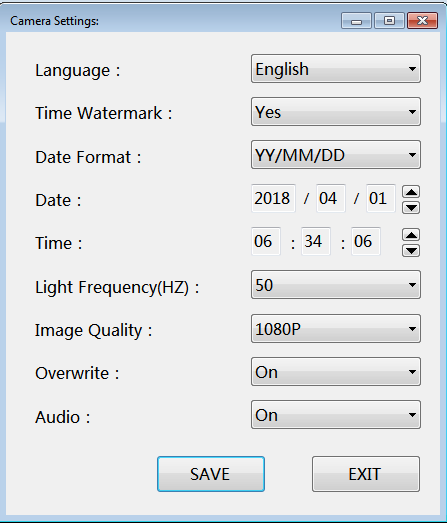 You can choose if you want to have the timestamp on your video recording. You can set if you want to run the camera in Overwrite mode which means do you want to loop back recording in case space is over on the SD card. You can also choose to reduce the video quality to store longer videos. Manual recording: Press and hold the recording button above the camera lens for two seconds, the LED will flash blue 3 times and then go off. This means that there will be no indication that recording is going on. To stop the recording, again press the recording button for 2 seconds and now the LED flashes red and blue alternately and the camera goes off. Motion Detection Recording: Follow the same steps as described in the manual recording but use the button behind the manual recording button. Conbrov T33 is an amazing gadget one should have for occasions that can vary from security purpose to simple recording purpose where you are not looking for very high-quality videos for a boardroom meeting. Its small size makes it easy to hide on an arranged desk, there is night vision and motion sensor to take care of both low light and battery life respectively. Unless you are looking for disguised spy camera to take on a professional spy on someone, it completely suits the use case home spy camera or as a small handy camera to sit on a table unnoticed.